Hamsika Chandrasekar is currently a junior at the Massachusetts Institute of Technology, double majoring in computational biology and neuroscience. She hopes to go on to medical school following her undergraduate career and ultimately aspires to work in the field of global health. This is her first post in a series on low-cost innovations in the developing world. In December 2011, I traveled to the small town of Anaikatti, about an hour outside of Coimbatore, one of South India’s largest cities. There, I spent a month at the Swami Dayananda Jayavarthanavelu Tribal-Rural hospital, observing the hospital’s day-to-day business and traveling with clinical staff to the nearby tribal villages. It was a humbling experience: I saw for myself the poverty in these villages, the lack of medical attention and the young age at which children had to begin working in order to earn money for their families. I noticed that most people had large numbers of children, despite the fact that they were already struggling to feed their families. The hospital’s head doctor said that there were two reasons for this: many villagers had little to no knowledge of family planning, and they were never sure if their children would survive past infancy. It was the second point that I found striking; after all, worrying about whether or not a child will survive past infancy is a foreign concept to much of the developed world. Why was this not the case in these villages? Upon my return to the U.S., I began to actively search for answers to this question. In the midst of my research, I stumbled across a TED Talk by Jane Chen, CEO of Embrace, a social enterprise that has developed a low-cost infant warmer to prevent infant deaths due to hypothermia. Embrace starts with a powerful concept: a simple, low-cost innovation with the potential to globally reduce infant mortality. Soon after viewing the TED Talk, I emailed Embrace, received a response and was given the chance to work with them directly as an Embrace M&E (Monitoring and Evaluation) fellow. Together, we fleshed out a project: I would travel to Gujarat’s Shamlaji Tribal Hospital in December 2011, teach the doctors and nurses how to use the product and collect data on the infants’ birth weight (before and after using the Embrace product), body temperature, any illnesses contracted and circumstances surrounding birth. I recall the excitement I felt as I boarded my plane to India, my backpack filled with readings on kangaroo mother care, Embrace’s history and the mechanics of the warmer. The Embrace warmer consists of three components: the WarmPak, the BabyWrap and the AccuTemp heater. To begin, the WarmPak, a small packet of waxy substance, is warmed in the proprietary AccuTemp heater. It is then placed inside the BabyWrap, which looks like a small sleeping bag and serves as the pouch in which the baby rests. The WarmPak stays at a precise temperature of 98.6 degrees Fahrenheit for up to six hours, by which point the WarmPak re-solidifies and can be reused. This system is portable, simple to use and, most importantly, cost-effective. 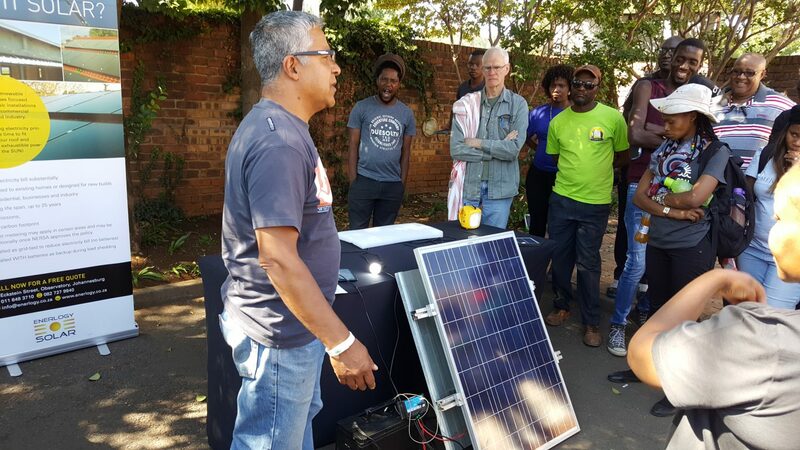 It does not require constant monitoring or heavy use of electricity, making it ideally suited to the rural and developing communities for which is was designed. In the three weeks I spent at Shamlaji Hospital, I worked with nine newborn babies, each weighing between 1.5 kg and 2.5 kg (3.3 lbs and 5.5 lbs). The infants were placed inside the Embrace warmer for about four hours at a time; after the four hours, the nurses and I would switch the baby to a new warmer, cleaning the first warmer thoroughly with spirits. A WarmPak was kept heated and ready at all times, and the nurses meticulously took notes on their interactions with infants placed in the warmer. At the end of the three-week period, I bid the nurses and doctors good-bye, leaving behind the two warmers that had served nine babies during the course of my fellowship. This work in India helped to prove the viability of Embrace’s concept, but more work remains to be done. A much more extensive clinical study, using 160 babies, is currently underway; simultaneously, Embrace is exploring using the heaters as an adjunct to traditional incubators at Lucile Packard Children’s Hospital. Past these continuing studies, however, may lie the larger challenge to Embrace and similar products: distribution. Many projects targeting the “bottom billion” have failed largely due to logistical hurdles. In much of the developing world, the complex supply chains taken for granted in modern economies simply don’t exist. Overcoming this problem may prove to be Embrace’s largest success. On my return trip to the U.S., I had a chance to reflect upon my project and, more generally, on the work carried out by social enterprises like Embrace. It takes dedication to pinpoint a problem, develop a cost-effective and innovative solution, carry out trials and ultimately launch a product in the field. However, doing so has the potential to close the gap between the developing and developed world and to change numerous lives for the better. The devil may lie in the details, but Embrace represents a positive step forward, one that many companies will hopefully replicate.